Phil speaks! Quite a bit, actually. 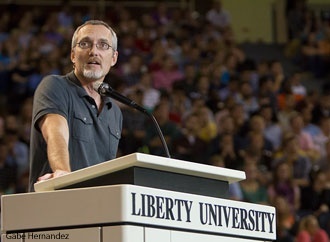 Phil’s history with VeggieTales, his humor, and the heart behind his messages have made him a popular speaker at conferences and on college campuses nationwide. Phil has given keynote talks at National Religious Broadcasters conventions, Christian retail conventions, children’s ministry conferences and many others. Phil’s chapel talks have proven popular everywhere from Liberty University to Wheaton, Taylor, Pepperdine, John Brown, Baylor, Asuza Pacific, Seattle Pacific and many others. 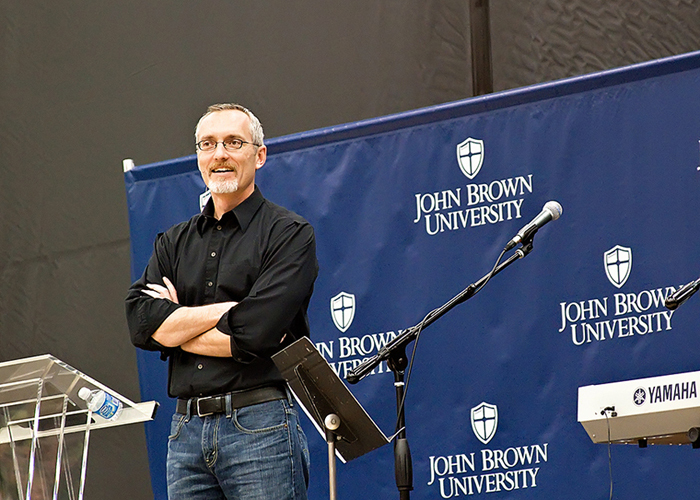 Phil has keynoted lecture series such as the Torrey Lectures at Biola University and Founder’s Week at the Moody Bible Institute. Phil’s speaking topics include talks about the loss of dreams and about the laying down of burdens, based on his own life experience. Phil also speaks about popular culture and teaching children through creative media. 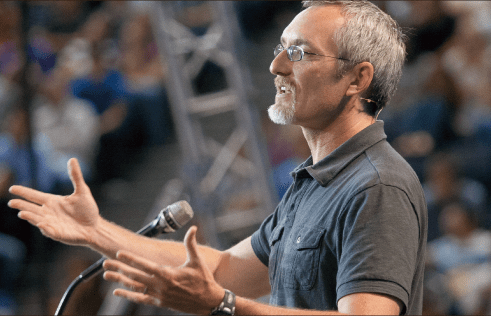 Lively Q&A sessions with college kids proved so fun they partly inspired Phil to launch the Phil Vischer Podcast with author/speaker/pastor Skye Jethani, which has large, enthusiastic following among under-40 Christians. If you’re interested in having Phil speak at your event, reach out to us! Send a message about your event and someone will get back to you right quick!